Liftside Condos in Keystone. This is a huge property (2000 sq. ft.; sleeps up to 15) with three bedrooms, three baths, and two living rooms on different levels (both with large windows facing the ski runs). Top floor unit with exceptional views of the slopes. Two fireplaces (wood provided) and three rooms with flat screen TV's. Perfect for big family groups. 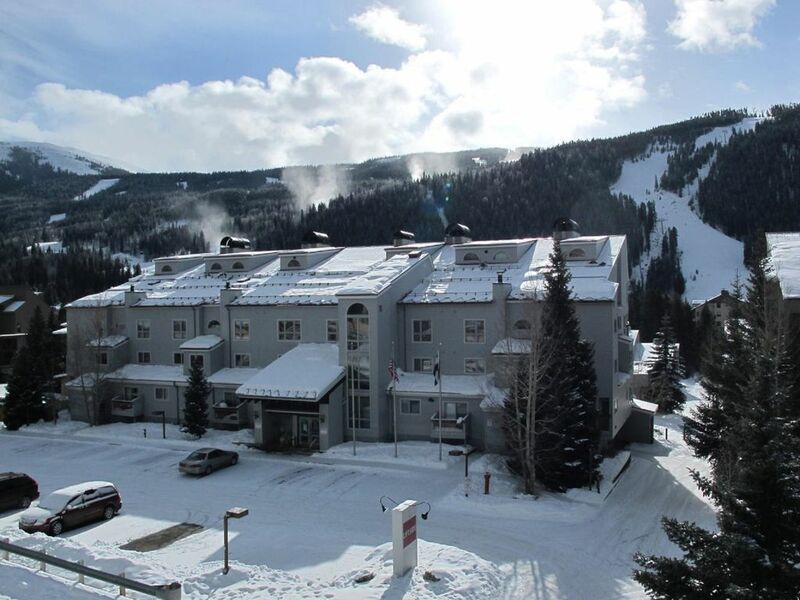 This is one of Keystone's most popular buildings because of its location near the Mountain House base area (Peru lift; kids ski school), clubhouse amenities, and view of the ski runs. Clubhouse onsite with heated indoor pool, hot tub, and steam room. Bed layout: BR1--Queen + Twin beds; BR2--Queen; BR3 (upstairs)--Queen; LR1--Queen fold out; LR2 (upstairs)--Queen fold out + Twin daybed + Twin trundle bed. The unit also has a portable twin futon (can be put in any room). toilet, combination tub/shower, Private bath for Bedroom 1. Has double sinks. The unit has 2 fireplaces (wood provided). Fully equipped kitchen with all major appliances. Includes cooking utensils sufficient to feed a large group. The condo has a private balcony overlooking the Snake River. Panoramic view of the ski runs (day & night). We loved the upgrades in this condo. Very short walk to the lifts. Great location to head to other slopes. Kids enjoyed the pool table and relaxing living rooms. We had a fire every night. Loved looking up at the slopes with a fire burning. Comfortable condo close to the slopes! We enjoyed our stay. The condo is comfortable and very nice with the upstairs room for larger groups and with 3 bathrooms. It is within walking distance to the slopes. If you need something you can easily get a hold of someone to help. It has a great view of the Keystone ski slopes. It's a nice place. Great place with lots of room for our 13 guests. Kitchen was well stocked with everything we needed. Plenty of towels, sheets, and blankets/pillows. One hair dryer did not work, but no problem because there were two more in the other bathrooms. House was very clean. We loved the wood burning fireplace and the fact that the property was so close to the bunny slope for the kids. Right across the street from Mountain View Sports where we rented our skis. Overall, a great property and would stay there again. It was exactly what we saw in the pictures. All around great place clean and perfect location! They were very prompt with responses to reserving and checking in and checked on us to make sure everything was ok. Kids are already asking when we can come back! Great place, great location and great service! We had a GREAT time! With not many choices of ski in/ ski out in Keystone you can’t get that much closer to lifts than this. 5 minute walk and your at the Ski School, Mountain House, Discovery Lift, and Peru’s Express! Room was in great shape. Had to ask for dish towels but owner responded quickly and had someone out there immediately to bring some. He responded very quickly to every question we had! Beautiful views of slopes! Great place, had a few issues- but when notified quickly fixed or attended to. Would stay here again. The only reason I give it a four it because says sleeps 15, it would be really tight if all beds were pulled out and slept in. Also wish there was more comfort seating in main living room, really only seats 4..( one couch and 1 rocker) another couch would be great fit for area. But overall, great place! This is a very helpful review. We've just ordered a new sectional wrap-around sofa that seat more people and still economize on space.